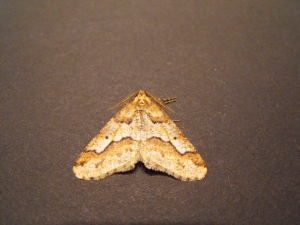 Observation - MOTTLED UMBER MOTH - UK and Ireland. Description: This moth lodged on outside of window which had Christmas lights on inside. This moth lodged on outside of window which had Christmas lights on inside.